Man steals his car back from towing company in Vero Lake Estates, Florida. 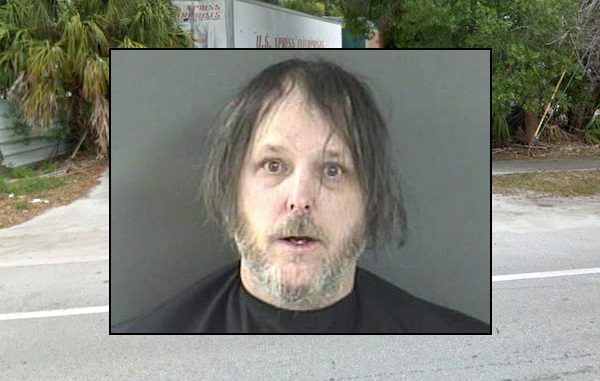 VERO LAKE ESTATES – A man who was arrested for driving a vehicle through a gate at City Cab Towing told deputies “they stole my car, so I stole it back,” according to the Indian River County Sheriff’s Office. On Monday at approximately 4:50 p.m., City Cab Towing called law enforcement to report that a man climbed their fence and drove a vehicle through their gate. They described the vehicle with front end damage as it was last seen on Old Dixie Highway in Vero Beach. Deputies located the vehicle a few miles from City Cab Towing and conducted a traffic stop. The driver, identified as James Rinella of Vero Lake Estates, told police that he stole his vehicle back from the tow company, according to the affidavit. “He kept saying over and over, ‘they stole my car, so I stole it back,'” the deputy said. City Cab representatives confirmed that the vehicle was towed from Vero Lake Estates early Monday morning. Rinella’s wife, who was following him in a separate vehicle, stated she brought her husband to City Cab to get their towed vehicle, but the company was closed, the affidavit said. “She stated he became angry and instead of waiting until City Cab opened, he decided to jump the fence and drive the vehicle through the gate to exit,” the deputy said. According to deputies, Rinella’s wife tried to stop her husband, but “he was too enraged,” she stated. An employee of City Cab witnessed Rinella drive through the gate and damage his vehicle. Rinella, 50, was charged with Burglary and Felony Criminal Mischief. He was transported to the Indian River County Jail where bond was set at $8,500. It’s unknown why Rinella’s car was towed.